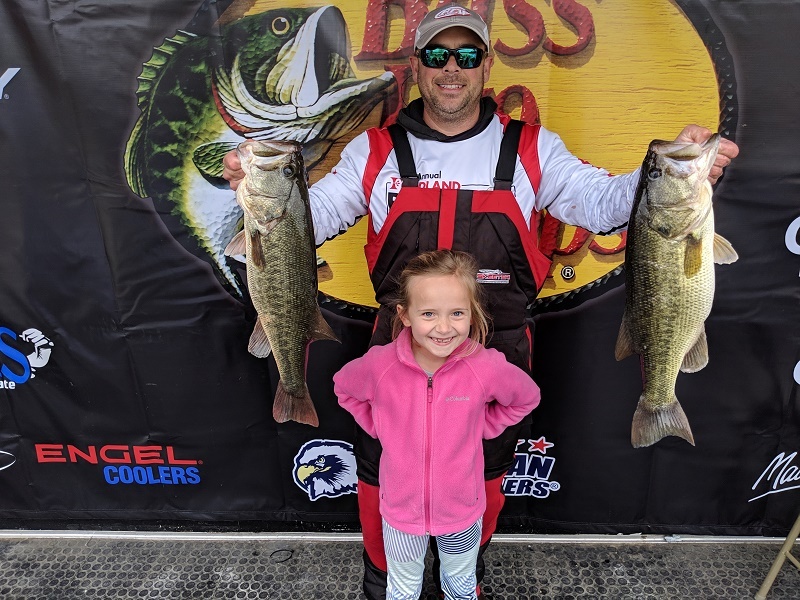 ​​​This past weekend the Alabama North Division of the Bass Pro Shops Open Series held its first event of the season launching from Goose Pond. The water level was high and most of the lake and main river channels were stained with a good current. Will Beutjer of Athens, AL made the drive to compete for his share of the over $16,000 in prize money awarded at the tournament. Will had a great day on the water landing a 5-fish limit that locked in the scales at 23.77-lbs. Will anchored his bag with a beautiful 7.52-lb largemouth. ATHENS, Ala. – Dewayne Woodall of Scottsboro, AL won the Bass Pro Shops Open Series North Alabama tournament, held March 2nd on the Guntersville Lake. Running out of Goosepond, on Lake Guntersville, AL. Woodall caught five bass weighing 27.40-pounds. For the Boater Division victory, Dewayne took home a check for $5500. 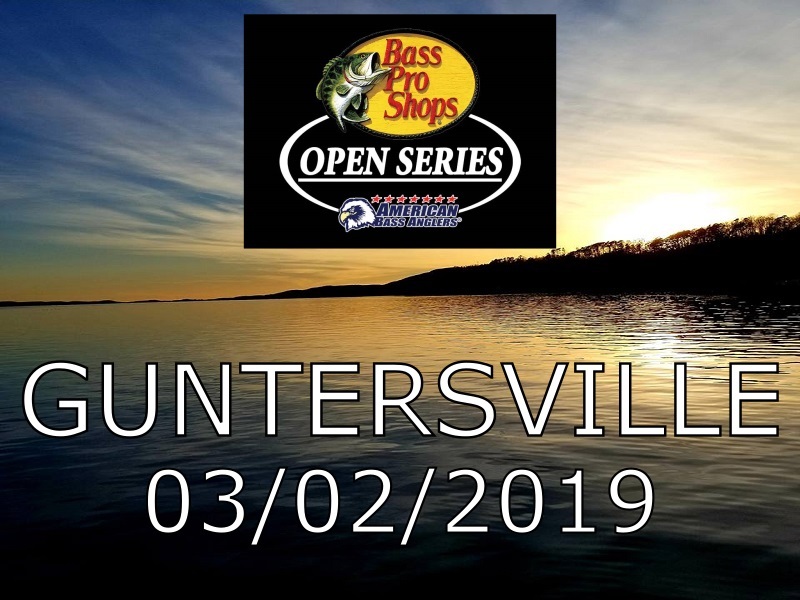 ATHENS, Ala. – The Alabama North Division of the 2019 Bass Pro Shops Open Series presented by American Bass Anglers will host the first event of the season on March 2, 2019, on Lake Guntersville in Scottsboro, AL. The competitors will launch from Goosepond, located at 417 Ed Hembry Drive, Scottsboro, AL 35769. Anglers may begin fishing at 6:00 a.m. or safe light. The weigh-in will begin at 3:00 p.m. Registration begins at 4 p.m. local time at the stage trailer located at Goosepong with the tournament briefing to begin at 7:00 p.m.
September 25, 2018, Athens, AL. 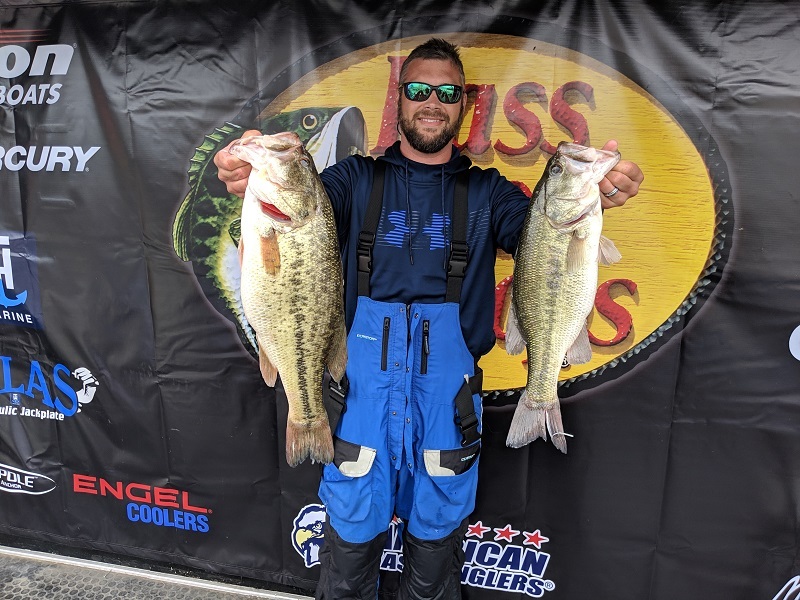 American Bass Anglers announced today the 2019 ABA Open Series schedules with 81 tournaments in 18 divisions, in a Pro/Am style format. The series provides the path the 2020 Ray Scott Championship where the winning boater will be awarded $50,000 and a new Triton/Mercury Boat package valued over $70,000. The winning co-angler at the Ray Scott Championship will win $25,000 and a new Triton/Mercury Boat package valued over $55,000. Each division hold four one-day qualifying events and advance anglers to a two-day Area Championship. The Angler of the Year, both Boater and Co-Angler from each division will receive their entries paid for the 2020 season in the same division. This includes four Divisional events and Area Championship. 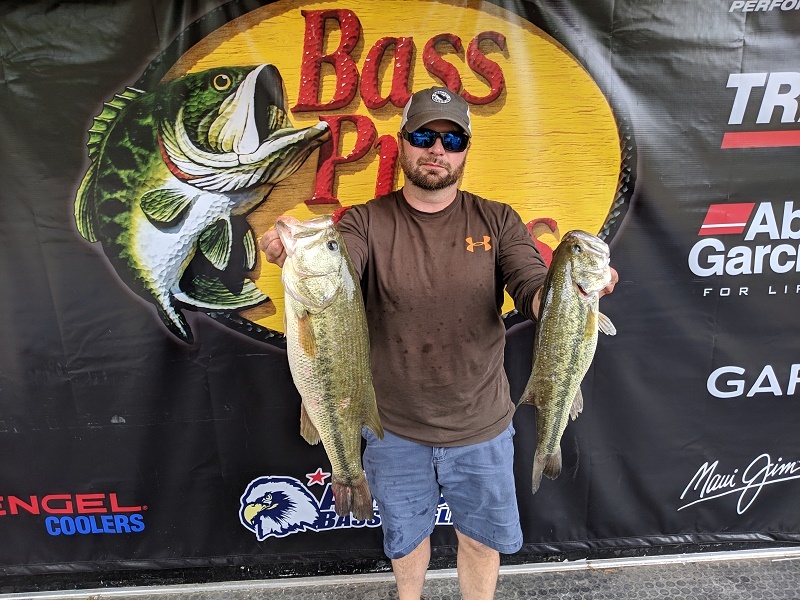 The Alabama North Division held its last event for the 2018 regular season at Little River Marina on Weiss Lake in Cedar Bluff, Alabama. With a field of 63 boats hitting the water we had a great day despite the temperature being in the mid 90’s. Jeff Edmondson of Gadsden, Alabama caught 5 bass weighing 18.91lbs for the boater division victory. Edmondson took home a check for $5000.00 for the win. 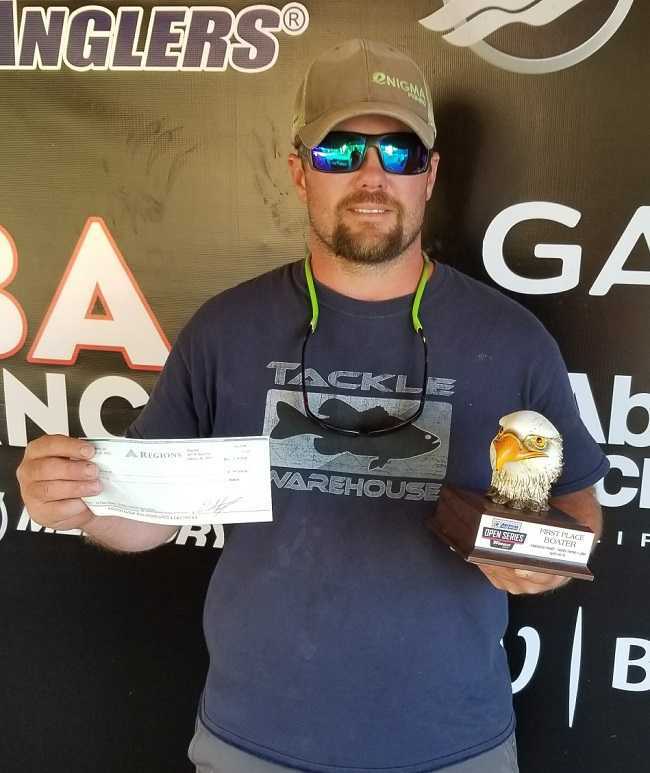 Athens, Ala– Dustin Seaborn of Guin, AL won the American Bass Open Series Alabama Division tournament held April 28, 2018 on Neely Henry Lake running out of Coosa Landing in Gadsden, Alabama. Dustin caught 5 bass weighing 17.99 pounds for the boater division victory. Seaborn took home a check for $5000.00 for his win. ATHENS, Ala. - The Alabama North division of the American Bass Anglers Open Series will hold its third tournament of the season on April 28, 2018 on Neely Henry in Gadsden, Alabama. Last year Andy Kilgore of Kingston, GA won the American Bass Anglers Open Series Alabama North tournament, held May 6, 2017 at Neely Henry. Kilgore caught five bass weighing 15.64 pounds. He had a 3.73-pound kicker to anchor his bag and took home $5000 for his efforts. 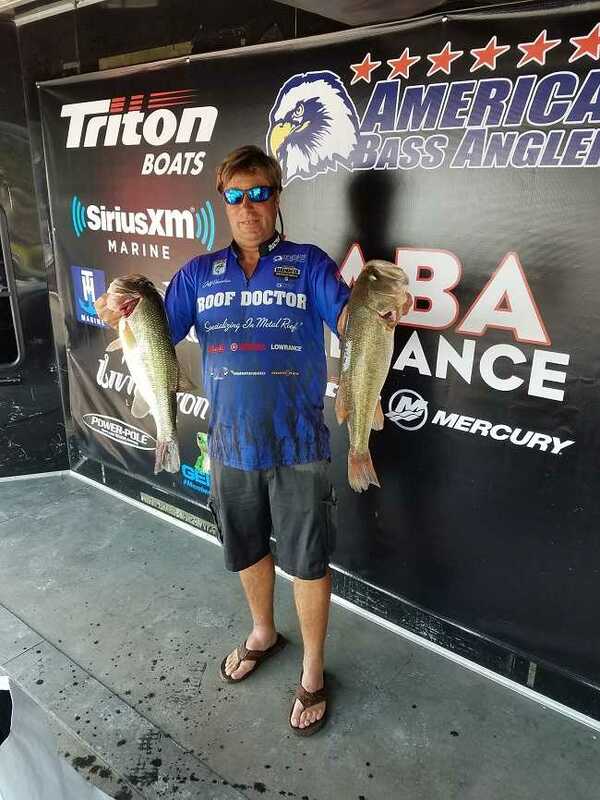 He took home an additional $7000 from Triton Gold and $1,000 from Mercury Marine giving him an overall winnings of $13,000. “I used a square bill crankbait on rocks. I culled a few times to get my overall weight," stated Kilgore. The competitors will launch at Coosa Landing, located at 200 Lake Street East, Gadsden, Alabama 35903. Registration begins at 4p.m. at the tournament trailer set up at Coosa landing on Friday, April 28, 2018 Anglers will blast off Saturday at 6:30 a.m. or safe light. The weigh-in will begin at 3:00 p.m. The competition has really tightened heading into the final day of the Ray Scott Championship. The top 10 boaters are only separated 5.41 pounds. 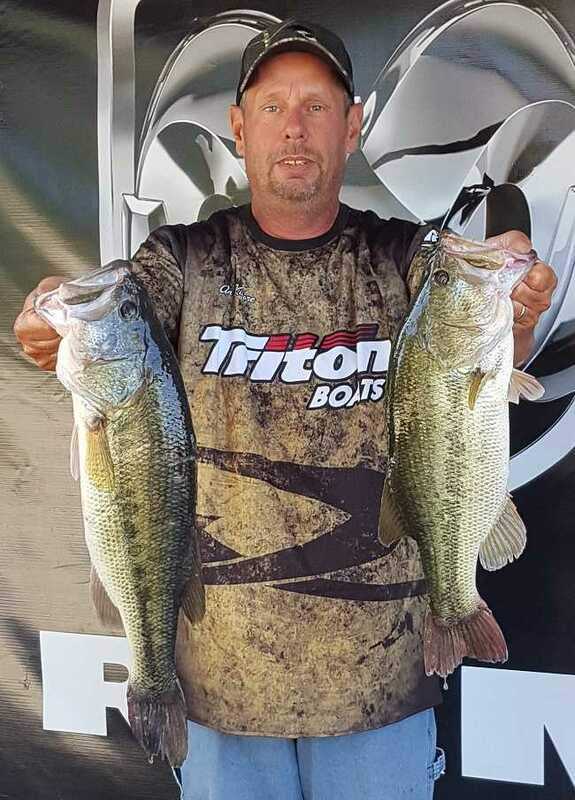 Billy Graves of Montgomery, LA has moved into first place with 30.80 total for 3 days. The field has been cut to the top 25 boaters and co-anglers for the final day. ATHENS, Ala. – Donny Beck of Florence, AL won the American Bass Anglers Open Series AL North tournament, held March 17th on Wheeler Lak. Running out of Joe Wheeler State Park, Beck had an amazing day Saturday. He weighed in and impressive five bass limit that weighed 27.8 pounds to take home $5000 prize. 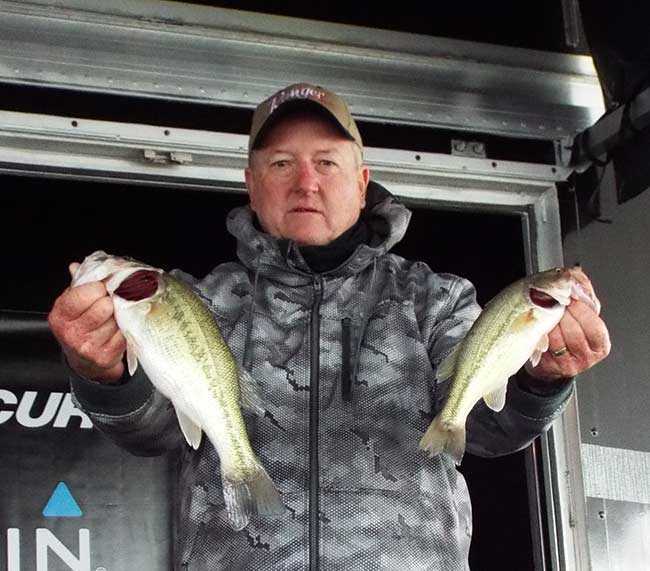 The Alabama North Division of the Open Series will hold its second tournament of the season on March 17, 2018, on Wheeler Lake at Rogersville, Alabama. The competitors will launch at Joe Wheeler State Park, located at 4401 McLean Dr, Rogersville, Alabama 35652. Registration begins at 4 p.m. at the tournament trailer set up in the state park on Friday, March 16th. Anglers will blast off Saturday morning at 6:30 a.m. or safe light. The weigh-in will begin at 3:00 p.m.
OPTIMA® Batteries Joins American Bass Anglers Inc.
Athens, Ala. (February 19, 2018) - American Bass Anglers (ABA) announces a sponsorship and membership online discount program with OPTIMA® Batteries. As part of the sponsorship OPTIMA Batteries will support the 2018 ABA Open Series and ABA Championship events with its industry leading batteries. As a special benefit of this program, ABA members receive an online discount on OPTIMA Batteries which includes free shipping. Members receive the discount by logging into the member’s area of americanbassanglers.com. ABA Members will greatly benefit from OPTIMA AGM, absorbent glass mat batteries weighing nearly 10 pounds less than their competitor’s AGM batteries while delivering more power. OPTIMA Batteries provides customers with unstoppable power both on and off the water. With over 40 years of history, OPTIMA Batteries offer anglers with The Ultimate Power SourceTM when it matters the most, never leaving you dead on the water.